The Norwalk Land Trust is an all-volunteer organization. We have an energetic group of volunteers who enjoy working together. We’d love to have you join us. You’ll be glad you did. 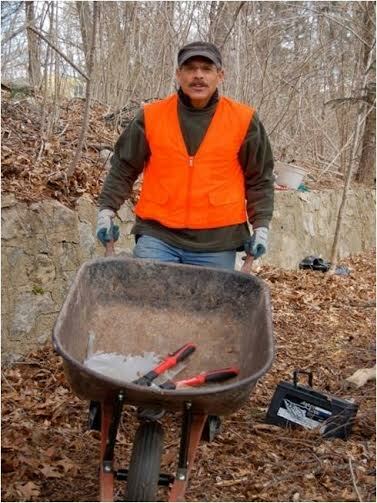 Dates of our cleanups are on our Facebook page and on the News/Events page of this site. Please fill out our Contact Us form so we can let you know about upcoming cleanup dates. If you’re free on that date, we’d appreciate your help. We provide gloves, grabbers, and bags. Some of our properties can be overwhelmed by invasive species, crowding out native plants that are beneficial to birds and other wildlife. A good example is Hoyt’s Island, where we are creating a bird sanctuary. In this case, the invasive winged euonymus was crowding out low bush blueberries. Twenty volunteers were ferried to Hoyt’s Island on a beautiful day and did a great job of clearing out the invasive species. If you’d like to volunteer for Invasive Species Control, please click here. Norwalk Land Trust offers a class presentation and field trip to the 4th grade elementary schools in Norwalk. We visit classrooms with a 45-minute PowerPoint presentation, geared to the science curriculum. Then, there is a follow-up field trip to Farm Creek Preserve for a hands-on experience. Groups of 5-7 children and a trained field guide explore the wetlands, highlands and open meadows of Farm Creek. Please click here if you’d like to volunteer to help out with this highly regarded education program. We would be happy to train you to become a field guide for the Outdoor Classroom. Every year, the Norwalk Land Trust participates in events such as the Norwalk Tree Festival and National Estuary Day. We always need extra hands for everything from setting up our booth, to answering questions about the Norwalk Land Trust, to handing out milkweed seeds to help the Monarch Butterfly migration. If you’d like to pitch in with our events, please click here. 2. Grant a conservation easement to the Norwalk Land Trust. You retain ownership but all rights to future development are terminated. Contact us for details and a discussion with our legal counsel. A gift to the Norwalk Land Trust is a wonderful gift to for the person who has everything, or who loves nature and its preservation. For the holidays, birthdays, anniversaries. Memorial Gifts Pay tribute to a loved one with a gift to the Norwalk Land Trust. Legacy Gifts A number of people have put bequests in their wills to benefit the work of the Norwalk Land Trust. It’s a wonderful way to celebrate a love of nature and interest in the preservation of open space. If your company has a matching gifts program, we qualify. 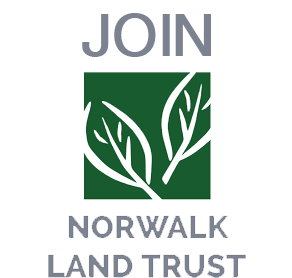 The Norwalk Land Trust is a tax-exempt corporation as designated by the Internal Revenue Service. In almost all cases, financial donations, or donations of land or easements can yield important tax advantages (income, estate and property) to donors. Land donation may provide substantial income tax deductions and estate tax benefits. The tax benefits from any donation depend greatly on your individual tax situation. Please consult with your tax advisor for a complete analysis of how a donation to the Norwalk Land Trust would affect your taxes.